Official Metro Medical Services, Inc. website launched. With many years of experience in providing quality care, Metro is a locally recognized leader in responding to, caring for, and transporting the ill and injured. 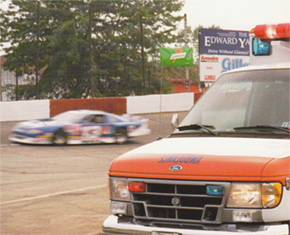 Beginning with one ambulance in the late 1970s, Metro has grown to serve several local communities and fire protection districts with state-of-the-art vehicles, and highly trained and motivated employees. Our company is committed to providing the highest quality patient care with the lowest out-of-pocket cost. Metro is involved in numerous national and state health care organizations. In addition to continually making innovative company improvements, Metro supports the ambulance industry on a national basis through its affiliation with the American Ambulance Association and Illinois State Ambulance Association. Metro demonstrates a strong commitment to community involvement. This is evidenced by ambulance and equipment displays, career day demonstrations at schools, emergency first-aid and CPR classes instructed by our staff as well as medical support for many local social events.